Congratulations on your decision to attend Juniata College and welcome to the Juniata community! We know that you and your family have many questions and concerns as you begin thinking about all of the tasks you need to accomplish before you arrive on campus. This is why it is so important for you to attend New Student Orientation. 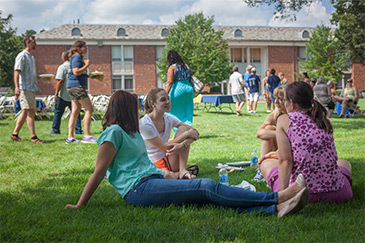 Our goal at orientation is to help ease your transition, answer all of your questions, and help you feel more connected and comfortable with the campus and Juniata's students, faculty, and staff. SOAR, Student Orientation and Academic Registration is the next step in your process to being an Eagle! International Students, please check with the Center for International Education before registering for orientation and making travel plans. The following form must be completed and submitted to the College.